The USAF NGAD/PCA has a proposed FY20 budget of $1B. It had been predicted to be $1.2B. The AETP engine often associated with the NGAD also received a budget of $870M. The F-22 and F-35 both funded their engines internally, unlike the NGAD/PCA. However, Jane's takes the stance the NGAD is being rethought. The US Navy's Next Generation Fighter program is shifting from $5M in FY19 to a proposed $20M in FY20. The US Navy will finish its AOA this summer for its 6th gen fighter. Leonardo wants a role in Britain Tempest. International interest in the British Tempest is growing. The Franco-German FCAS may be a bad idea, or so goes one opinion. Pakistan is outlining its plans for developing a 5th gen fighter. Putin - goodness me - considers the Su-57 the best plane in the world. The Russians have already created an export version of the Su-57. They may be trying to export it to Turkey and China. ?!?! The Russians are stating the first batch of Su-57s will be delivered to a frontline unit in 2019. The Russians are refuting the Su-57 has been redeployed to Syria. Why did the YF-23 lose to the YF-22 in the Advanced Tactical Fighter competition? The only man to have flown both the F-22 and the YF-23 talks explains. Scaled Composites' Model 401 is on the east coast at a Navy flight test facility. Why? The F-117 has been out flying about (with a plexiglass canopy, btw). The Drive noted the interesting bit of the choice of emblem on the F-117. Listen to a B-2 test drop nuclear weapons. The USAF has selected which airbases will be hosting the B-21. Rapid Raptor: the program to allow the F-22 to deploy anywhere, well, rapidly. 24 Raptors conducted an elephant walk in Alaska. Will Langley AFB be the center of F-22 training? General Fick is the new head of the F-35 program. The Pentagon is considering selling the F-35 to Poland, Greece and Romania. A continuous software upgrade program would speed capabilities to the F-35, but delay the purchase of aircraft. The F-35 is expected to hit an 80% availability rate in Sept 2019. The F-35 has the capability to deploy towed decoys from under its stealthy skin. Some are strongly arguing to buy the F-35 instead of the F-15X. 48 F-35As, 10 F-35Bs and 20 F-35Cs are in the FY20 proposal. The USAF wants 12 more F-35As than the budget provided for. The USAF has conducted the first fast/hot crew swap exercise for the F-35A. The IG is slamming the F-35 program office for allowing contractors to manage government assets. The F-35 will take a starring role in an exercise in Greece. The USS Wasp carried at least 10 F-35Bs into the South China Sea. The USS Wasp has been operating near the disputed Scarborough Shoal. The USMC may deploy F-35Bs off the deck of the Korean amphibious ships. The readiness of the F-35C is improving, supposedly. The British are monitoring the situation about the Japanese F-35 crash. Italy's Deputy PM defended the F-35 purchases. The Italian F-35As in Sardinia get close ups. Italian F-35As participated in the 'Lightning Thunder over Europe' exercise. How did Italian F-35 pilots feel about their participation in Red Flag exercise? Japan just purchased the JSM antiship missile for its F-35s. Japan declared IOC for its first F-35A unit. Japan had its first F-35 crash. The wreckage has been located, but salvage and investigation will be daunting. Efforts are still underway to try to find the pilot. Japan has grounded its F-35As. The aircraft that crashed was the first F-35A assembled by Japan. Here's an update. Poland is considering the F-35 for its Harpia program. In fact, they want to outright buy 32 of them. The first two F-35As for South Korea have arrived in country. Switzerland will evaluate the F-35 for its new fighter requirement this summer. Turkey's F-35 deliveries may get paused. Strike that: the deliveries have stopped of parts. The US has stated buying the F-35 and the S-400 missile system are not compatible. In the mean time, the US military continues to train Turkish F-35 pilots. Congress again has warned Turkey they cannot have the F-35 and the S-400 missile. If Turkey gets cut, the F-35 program can progress just fine. Or will it? How problematic is it for Lockheed? What next? BAE has begun Meteor and Spear integration on the F-35. Lockheed received a $264M contract to support South Korea's F-35s. 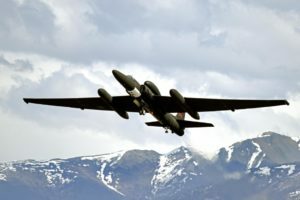 What aircraft does the USAF need to defeat Russia and China? NSN 7H-7035-016210094, TDP VER 001, QTY 4 EA, DELIVER TO Q97527, LOCKHEED MARTIN CORPORATION, MANASSAS, VA 20110-4104, INDUCTION NIIN IS 7H, 7035, 016210094, SERVER,AUTOMATIC DA, N136556. NAVSUP-WSS IS SEEKING ELIGIBLE CONTRACTORS TO FURNISH EFFORT INCLUDING LABOR, MATERIAL, AND FACILITIES AS MAY BE REQUIRED TO EVALUATE, REPAIR AND/OR MODIFY THE ITEMS AS SPECIFIED FOR STOCK. OFFERS SUBMITTED FOR REMANUFACTURED, SURPLUS OR NEW PROCUREMENT ACQUISITIONS WILL NOT BE CONSIDERED AND DETERMINED NON-RESPONSIVE. The Government does not own the data or the rights to the data needed to purchase / contract repair of this part from additional sources. It has been determined to be uneconomical to buy the data or rights to the data. It is uneconomical to reverse engineer the part.The proposed contract action is for supplies or services for which the Government intends to solicit and negotiate with only one source under the authority of FAR 6.302-1. All responsible sources may identify their interest and capability to respond to the requirement or submit proposals, quotations or capability statements. This notice of intent is not a request for competitive proposals. However, all proposals received within 45 days (30 days if award is issued under an existing Basic Ordering Agreement (BOA) after date of publication of this synopsis will be considered by the Government. A determination by the Government not to compete with this proposed contract based upon responses to this notice is solely within the discretion of the Government. Information received will normally be considered solely for the purpose of determining whether to conduct a competitive procurement.Based upon market research, the Government is not using the policies contained in FAR Part 12, Acquisition of Commercial Items, in its solicitation for the described supplies or services. However, interested persons may identify to the contracting officer their interest and capability to satisfy the Government's requirement with a commercial item within 15 days of this notice.One or more of the items under this acquisition is subject to: Free Trade Agreements, if DFARS clause 252.225-7036 Buy American Act--Free Trade Agreements--Balance of Payments Program, is included in the solicitation. The World Trade Organization Government Procurement Agreement and Free Trade Agreements, if DFARS clause 252.225-7021 Trade Agreements, is included in the solicitation. Американский производитель вооружения и военной техники Lockheed Martin Corporation готовит к выпуску духи Vector. Они будут иметь аромат настоящего космоса, сообщает пресс-служба компании. The MIT-Lockheed Martin Seed Fund, which will also operate in Germany during its pilot period, will be sponsored by Lockheed Martin to the value of $150,000. Als gevolg op de reacties van Arend, die mij in snelheid heeft gepakt, in het andere item over Julian Assange, wil in dit item toch wat dieper ingaan over de mogelijke achtergronden van de tussenkomst van het IMF via een "lening" (sic). Zoals in Venezuela speelt in Ecuador de "olie" ook een belangrijke rol met geopolitieke aspecten. Er is de invloed van China : https://business.financialpost.com/investing/how-china-took-control-of-ecuadors-oil-2 met citaat : "November 26, 2013 9:10 AM EST China’s aggressive quest for foreign oil has reached a new milestone, according to records reviewed by Reuters: near monopoly control of crude exports from an OPEC nation, Ecuador. Last November, Marco Calvopiña, the general manager of Ecuador’s state oil company PetroEcuador, was dispatched to China to help secure $2 billion in financing for his government. Negotiations, which included committing to sell millions of barrels of Ecuador’s oil to Chinese state-run firms through 2020, dragged on for days. Calvopiña grew anxious and threatened to leave. “If the Phase III transaction documents are not signed in the coming days, then I cannot remain in Beijing,” he wrote in a confidential letter to China Development Bank (CDB), reviewed by Reuters.In reality, Calvopiña had little choice but to wait. Shunned by most lenders since a $3.2 billion debt default in 2008, Ecuador now relies heavily on Chinese funds, which are expected to cover 61 percent of the government’s $6.2 billion in financing needs this year. In return, China can claim as much as 90 percent of Ecuador’s oil shipments in coming years, a rare feat in today’s diversified oil market. "(=einde citaat). De voormelde toestand, zal dan ook in de USA niet in goede aarde gevallen zijn. Vervolgens poogde Ecuador de schade te beperken : https://www.reuters.com/article/ecuador-oil/ecuador-seeks-renegotiation-of-china-oil-sales-loans-idUSL2N1MZ1G5 met citaat : October 24, 2017 "QUITO, Oct 24 (Reuters) - Ecuador is seeking to renegotiate oil deals with Chinese firms to get higher prices for its crude exports and reduce the amount it has to send the Asian giant, the head of state-owned Petroecuador, Byron Ojeda, said on Tuesday. OPEC member Ecuador has shipped around half of its oil to Chinese firms after a rash of oil-for-loans deals signed under former President Rafael Correa, who touted the deals as a triumph of trade between close allies. "(=einde citaat). Intussen zijn de USA petroleum maatschappijen weer aan de zet, en belangrijker is de nieuwe militaire aanwezigheid van de USA in Ecuador : https://progressive.org/dispatches/us-military-returns-to-exert-influence-in-ecuador-and-region-181005/ met citaat : "Under the “cooperation agreement” signed by the government of President Lenin Moreno with the U.S. earlier this year, a Lockheed P-3 Orion maritime surveillance aircraft from the U.S. Customs and Border Protection Agency will now monitor Ecuador’s coast for three to four days every month to “fight against drug trafficking, organized crime, human trafficking, illegal fishing, and contraband.”Such an arrangement is hardly new. An almost identical program operated from the coastal city of Manta, Ecuador from 1999-2009, until then-President Rafael Correa decided not to renew the lease. Under Correa, the Ecuadorian government championed a new constitution that declared Ecuador as “a territory of peace.” That appears to be changing. (=einde citaat). Een ander aspect dat een mogelijke invloed heeft gehad op de IMF lening is het conflict tussen Ecuador en Chevron dat uiteindelijk beslist werd in het nadeel van Ecuador : https://www.bbc.com/news/world-latin-america-45455984 met citaat : "An international tribunal in The Hague has ruled in favour of the US oil company, Chevron, in an environmental dispute with the government of Ecuador. Chevron had been ordered to pay $9.5bn (£7.4bn) compensation to thousands of residents in Ecuador's Amazon region.They accused the company of dumping toxic waste in local lakes and rivers of the Lago Agrio region for decades.The court said that the 2011 Ecuador Supreme Court ruling had been obtained through fraud, bribery and corruption.The oil giant now stands to be awarded hundreds of millions of dollars in costs by The Hague's Permanent Court of Arbitration. (=einde citaat). Uit het voormelde kan ik dan ook afleiden dat Ecuador het mes op de keel heeft, en een lening van het IMF, leidt dan uiteindelijk tot de strop rond de nek. Nog een andere bron : https://www.mintpressnews.com/as-us-buys-more-ecuadorian-oil-is-trump-also-buying-assanges-arrest/246613/ met citaat : "Moreno’s recent statements continue to add to the speculation that Ecuador will soon give in to those U.S. demands, particularly given the increasing pressure the Trump administration has placed on Ecuador regarding Assange’s situation. According to some reports, the U.S. has threatened to block an International Monetary Fund loan to Ecuador over the Assange case. In addition, over the last two weeks, the U.S. has imported a record amount of Ecuadorian oil, leading to speculation that a deal or pay-off may have been made to ensure Moreno’s cooperation with Washington’s long-standing efforts to have Assange arrested and extradited. (=einde citaat). De vraag die ik hierbij stel : gaat het om Trump of de "Deep state..." die de uitlevering van Assange wil. Desgevallend als wapen tegen Trump !! Momenteel is de toestand verre van duidelijk, en lopen er m.i. geopolitieke - & olie - en zakelijke belangen door elkaar. The US aerospace company and the prestigious university are joining forces for a seed fund to promote early-stage research collaborations. Se llama Joint Light Tactical Vehicle, JLTV por sus siglas en inglés y se trata de un ambicioso programa para sustituir uno de los vehículos militares más emblemáticos de todos los tiempos: el Humvee. Como en casi todo lo que procede de Estados Unidos, las cifras que se manejan asustan a cualquiera, nada menos que 6.700 millones de dólares para dotarse de un vehículo utilitario que saldrá a unos 400.000 dólares la unidad. Sin embargo un reciente informe del Ejército norteamericano (el US Army) ha hecho saltar todas las alarmas. Da la impresión de que el vehículo no funciona y que el programa está en entredicho. Vamos a analizar los problemas de este nuevo desarrollo y si de verdad es un fiasco como algunos medios sensacionalistas afirman. Reemplazar un vehículo tan famoso y conocido como el Humvee, tan extendido y tan fabricado (más de 280.000 unidades), sin duda no es una tarea fácil y probablemente los responsables del programa JLTV sabían que se iban a enfrentar a un reto difícil. El vehículo llamado a sustituir a la “madre de todos los vehículos” es el Oshkosh L-ATV, que resultó ganador del concurso lanzado por el US Army. Desde agosto de 2015, cuando se dio a conocer que Oshkosh era el ganador con su propuesta L-ATV, se han ido sucediendo diversos hitos en el programa, con varios prototipos, vehículos demostradores y primeras entregas de unidades de preserie. Sin embargo en un informe sobre los Programas del Ejército para el año fiscal 2018 (FY18), el equipo de evaluación del Army ha incluido unas páginas donde expone el resultado de las pruebas con algunas conclusiones bastante duras y poniendo de manifiesto un sinfín de problemas con el nuevo vehículo. Y es que el diseño de Oshkosh ha nacido con cierta polémica desde el primer momento. Por un lado por el hecho de que nada más conocerse el resultado, el gigante de la industria de armamento Lockheed Martin, que también competía con su modelo, protestó ante los tribunales la decisión del concurso, aunque al final retiró dicha demanda. Por otro lado resulta muy curioso que AM General, el fabricante del Humvee, no quisiera presentarse a un concurso dirigido a reemplazar su mejor producto cuando, además, ya tiene desarrollado un prototipo de 'Nuevo Humvee'. con muy buena pinta, que oferta a clientes extranjeros. Durante el año 2018 el programa ya se encontraba en fase de evaluación operativa de diversos vehículos de preserie que se entregaron a varias unidades para su empleo en todo tipo de misiones. Si bien el L-ATV (Light Combat Tactical All-Terrain Vehicle) únicamente ha sido evaluado en cuatro versiones, General, Armada, Utilitario y de Combate, los resultados son mediocres en la mayoría y malos en alguno. Vamos a ver algunas de sus mayores deficiencias. Las variantes General, Armada y Utilitaria han sido declaradas “válidas para su empleo operacional”, sin embargo lo han sido con “malas notas” y en algún caso con “suspenso”. La versión General es una configuración de vehículo blindado para transporte de personal con un adecuado nivel de protección. La versión Armada dispone en el techo de diversas modificaciones que le permiten llevar armas de diverso calibre, como la eterna ametralladora del calibre 50 en torres automáticas o manuales. Por último, la Utilitaria es el típico vehículo todoterreno para carga diversa. De estas tres la peor parada es la Utilitaria, que es la versión de transporte con caja trasera para carga general y remolque, cuyo diseño debe ser modificado pues si bien el vehículo es apto como el resto, a la hora de engancharle el remolque surgen tales complicaciones que comprometen la movilidad del conjunto: “suspenso”. Pero sin duda lo peor está con la versión de combate. Este es en realidad un vehículo de combate diseñado para llevar sobre el techo un montaje para misiles contracarro o armamento más pesado. La cuestión es que las unidades evaluadas, con un montaje para misiles contracarro TOW, han dado tan mal resultado que el informe del Army las califica como “no válidas para su empleo operacional”, algo sin duda serio y que obligará a un rediseño del modelo. Los problemas aquí surgen fundamentalmente en la pésima disposición interna, con poca capacidad de carga y difícil acceso a su depósito de proyectiles, así como en el acceso al montaje lanzador, que dificulta en gran medida el lanzamiento y, sobre todo, la recarga de un nuevo misil. Y este punto, en un vehículo que en cuanto dispara queda delatado, es un aspecto crítico. De hecho, el nuevo modelo es menos eficaz que la misma versión con lanzador de misiles del viejo Humvee. No acaban aquí los problemas. Si bien es cierto que el nuevo vehículo se desenvuelve bien en el terreno accidentado, incluso mejor que el Humvee, y que dispone de unos niveles de protección interna adecuados, se han señalado como problemas muy graves la fiabilidad y el mantenimiento. El vehículo se ha diseñado con muchos elementos que automatizan funciones pero añaden complejidad y, a veces, en vehículos militares es preferible la sencillez. Los sistemas de autodiagnóstico, por citar algunos ejemplos, fallan y hacen que, al final, la tripulación no se fíe de las indicaciones. El mantenimiento está resultando muy complejo y, al menos de momento, se necesita de constante apoyo por parte del fabricante para unas tareas que, en operaciones reales, deberían ser lo más sencillas posible. Otras deficiencias que se citan son la poca discreción del vehículo, es grande, muy visible y ruidoso, por lo que es fácil de detectar. También se le achaca que la tripulación carece de la adecuada conciencia situacional de lo que ocurre en el exterior y que el vehículo tiene muchos ángulos muertos. En primer lugar hay que decir que todo nuevo desarrollo, sobre todo en el campo militar, es normal que tenga unos comienzos azarosos y con muchos problemas. Suele pasar con todos los nuevos diseños. Pero en este caso, quizás, hay que buscar alguna culpa en el propio Humvee, pues mejorar algo que se hizo muy bien, no es fácil. El Humvee ha tenido una vida operativa “gloriosa” con un borrón que muy probablemente ha marcado en exceso el diseño del L-ATV. Todo iba muy bien para el Humvee, un vehículo robusto, sencillo y fácil de mantener, duro como una piedra y del que, respecto a su movilidad, se decía “si cabe, pasa”. En España lo ha tenido la Infantería de Marina con un resultado excelente, no hay más que preguntarles. Pero llegó la invasión de Irak y la guerra en Afganistán y los Humvees se tuvieron que enfrentar a algo para lo que no habían sido diseñados: IED’s. Un IED (Improvised Explosive Device) es un artefacto explosivo improvisado que, en infinidad de variaciones, formas y tipos, utilizan los grupos terroristas o las facciones insurgentes para sus fines. Se suelen colocar en carreteras o zonas de paso y sus efectos, sobre todo en vehículos no preparados, son devastadores. Pronto empezaron a llegar terribles imágenes de Humvees destrozados por estos ingenios, que explotan debajo del vehículo donde no hay protección, con resultados de muchas bajas para sus ocupantes. La reacción inmediata fue reforzar el blindaje del suelo y resto del vehículo, pero este blindaje no es liviano y al aumentar el peso del vehículo su movilidad se compromete. El siguiente paso que tomó el Army fue dotarse de toda una serie de vehículos MRAP (Mine-Resistant Ambush Protected), verdaderos “bunker rodantes” como el Lince o el RG-31 que utiliza también el Ejército español en misiones en el extranjero. Por este motivo el Humvee fue duramente criticado. España tuvo el mismo problema con el famoso BMR de 6 ruedas y fabricación nacional, al que se criticó con tanta dureza como injusticia cuando se vio que, al igual que el Humvee, no resistía los efectos de estos ingenios por la sencilla razón de que no fue diseñado para ello. Además, en el caso del BMR, se trata de un diseño de los años 70 con una vida útil estimada de entre 15 y 20 años. La realidad es que, precisamente este año, se cumplen 40 de su entrada en servicio y aún son la espina dorsal de las unidades de infantería ligera. Y lo que les queda. Todo esto ha influido mucho en el programa del JLTV y el resultado es un vehículo más grande, con un peso que dobla al del Humvee y muy blindado. De aquí algunas de las críticas, como la falta de conciencia situacional o los ángulos muertos, algo normal pues las ventanillas en un vehículo son un punto débil y si se quiere hacer un vehículo muy protegido, necesariamente éstas se tienen que hacer pequeñas, lo que resta visibilidad al exterior y añade ángulos muertos. También es lógico que sea un vehículo indiscreto pues es bastante más grande que el Humvee y con un motor más potente. El resto de aspectos del L-ATV no son malos. Supera al Humvee en todas las capacidades de movilidad, protección, autonomía y vadeo, algo muy importante para el Cuerpo de Marines. En el resto de aspectos defectuosos el fabricante se deberá esmerar y solucionarlos, para eso se realizan las pruebas con unidades y en operaciones reales. El mantenimiento es un aspecto clave pero solucionable y donde se deberá hacer un rediseño más profundo es en la versión de combate. Si todo esto se arregla el sustituto del Humvee será también un buen vehículo. En España no tendremos que preocuparnos por todo esto. Aquí se utiliza un vehículo de fabricación nacional, el URO VAMTAC (Vehículo de Alta Movilidad Táctico). Un buen producto con el que el Ejército está muy satisfecho aunque la Infantería de Marina, que sustituyó sus viejos Humvee por el VAMTAC, ha tenido algunos problemas y es que la electrónica y el agua salada se llevan mal. Solucionados éstos, sin duda se trata de un muy buen vehículo, bien considerado en el exterior y del que su fabricante ha realizado importantes ventas a clientes extranjeros, lo que suele ser la “prueba del nueve” de que un producto es de calidad. Todo apuntaba a que iba a ser un rutinario vuelo de adiestramiento, como los muchos que se suceden a diario en la base aérea japonesa de Misawa. Pero el vuelo de este pasado martes 9 de abril estaba destinado a ser bien distinto. A las a las 19:27 hora local, el F-35A que había despegado de la pista de Misawa 28 minutos antes, desapareció en el océano sin ningún aviso de problemas a bordo. Estamos ante un nuevo caso de accidente aéreo, accidente mortal con casi total probabilidad (hasta ahora no se ha podido localizar al piloto). Un accidente un tanto especial pues afecta a uno de los aviones más sofisticados del mundo y, además, es una pérdida que puede afectar no solo a las ventas del modelo, sino a la propia seguridad de la tecnología norteamericana. Este accidente es, ante todo, una tragedia humana: tras cuatro días sin rastro del piloto, sería un milagro que se encontrara con vida en mitad del Pacífico. Pero también es un accidente con una relevancia sin precedentes para los intereses militares estadounidenses que puede tener impacto a nivel mundial, aunque es difícil saber ahora mismo hasta qué punto. A diferencia de los accidentes civiles, como el del Boeing 737 MAX, los militares no se pueden valorar ni tratar de la misma manera. Los aviones de combate son naves diseñadas para ir rozando los límites de la física, emplean materiales muy avanzados y se someten a esfuerzos inimaginables. Pero ¿qué sabemos hasta ahora de lo ocurrido? El F-35 despegó junto a otros tres de la Base de Misawa para un vuelo de adiestramiento en condiciones nocturnas. Misawa es una de las más importantes instalaciones militares de la JASDF (Japan Air Self-Defense Force), la Fuerza Aérea japonesa. La Base se encuentra en la Prefectura de Aomori, en la costa este de la isla de Honshū, la más importante de Japón y donde se encuentra, más al sur, Tokio. El avión volaba sobre el Pacífico y se perdió a unos 137 kilómetros hacia el este de la Base. Nada más conocerse la noticia se inició una importante operación de búsqueda, de momento con cierto resultado positivo al encontrarse algunos restos del avión (en concreto los estabilizadores de cola) aunque, por desgracia no ha aparecido aún el piloto, a quien todos los medios dan por desaparecido. En la operación de búsqueda se han volcado, por supuesto los japoneses, pero también EEUU. La profundidad de las aguas en la zona del accidente es de unos 1.500 metros, por lo que cualquier operación de rescate va a ser muy complicada y muy costosa. Pero los restos se deben recuperar casi a cualquier precio. Por un lado en lo que quede del avión estará, presumiblemente, la respuesta del accidente y es necesario recuperar las grabadoras de misión del avión. Un dispositivo que funciona con la misma filosofía que las cajas negras de los aviones civiles, con la diferencia de que la principal utilidad de las grabadoras de misión es poder analizar cada vuelo realizado y sacar conclusiones. Con su información es posible reproducir el vuelo hasta el más mínimo detalle y se utilizan en lo que se denomina el 'debriefing' de misión. Algo vital que se realiza tras cualquier vuelo militar. Pero hay mucho más. Unos restos hundidos y perdidos en las profundidades del Pacífico podrían ser recuperados por otros interesados. Hablamos de Rusia y, por supuesto, China. Y hablamos de los restos de un avión de Quinta Generación que va a ser la espina dorsal de las fuerzas aéreas de multitud de países occidentales. Rusos y chinos están inmersos en fabricar sus propios modelos con tecnologías punta, pero es algo reconocido que están teniendo numerosos problemas. Cualquier componente del avión siniestrado podría dar importantes pistas sobre cómo resolver un problema o en qué dirección avanzar, y esto podría suponer ahorros millonarios. Si hay alguien experto en lo que se denomina "ingeniería inversa", construir a partir de deshechos, son los chinos, que han utilizado esta técnica en multitud de ocasiones. Personas de gran influencia como el estadounidense John Moore, experto miembro del Comité del Senado para Asuntos Internacionales, no ha tenido ningún reparo en afirmar que "no hay un precio demasiado alto en este mundo que China y Rusia no puedan pagar para hacerse con el F-35 perdido por Japón, si son capaces". El asunto es serio. Otros analistas van incluso mucho más allá. Hablan de que podríamos presenciar en los próximos días las mayores operaciones de espionaje y contraespionaje submarino desde los años de la "Guerra Fría". Difícil aventurarse a predecir qué ocurrirá en las oscuras profundidades del Pacífico, pero está claro que hay un interés importante por parte de todos los actores de conseguir algún trozo del pastel. Lo que sea. Por ejemplo, cualquier parte del radar sería gravísimo que cayera en manos 'extrañas'. Lo mismo se puede decir de cualquier componente electrónico y el F-35 es, como alguien ha dicho, un "ordenador con alas". Pasa lo mismo con el motor, el más potente del mundo en un avión de combate, e incluso del fuselaje, del que se podrían extraer importantísimos datos sobre la "invisibilidad" del avión al radar. Y lo que es peor, cualquier dato que no suponga un interés tecnológico para terceros podría revelar los puntos débiles del avión. No es de extrañar, por tanto, que ya se encuentren en la zona no menos de ocho buques, varios helicópteros y que entre los siete aviones que colaboran en la búsqueda, los norteamericanos hayan enviado uno de sus nuevos P-8 Poseidón, el avión de patrulla marítima más sofisticado del mundo, sustituto del P-3 Orión y que, casualidades de la vida, es un modelo militar basado en el Boeing 737-800, justo la versión anterior al 737 MAX. ¿Dónde ha podido estar el fallo? Pasará bastante tiempo hasta que se sepa de verdad qué pasó e incluso es posible que toda o al menos parte de la información sobre el accidente se considere "material clasificado" y, en consecuencia, jamás se haga público. Aunque varios medios especializados aseguran que el avión desapareció sin ninguna comunicación, algunas fuentes japonesas han afirmado que, previo al accidente, el piloto comunicó que abortaba los ejercicios previstos, pero no dio ningún mensaje de alarma ni avisó de ningún problema a bordo. Este hecho podría indicar que el piloto tuvo algún problema de sistemas en el avión que, o bien fue de repente a más y perdió el control del aparato o bien no supo identificar correctamente. Aquí juega un papel importante el hecho de que el F-35 es un avión tecnológicamente muy complejo. El piloto, del que no se ha facilitado de momento su identidad, era muy experimentado: cuarenta años y 3.200 horas de vuelo. Esto, en un piloto militar de aviación de combate, le convierte en un verdadero experto, pero de ellas tan solo 60 horas eran de F-35. Es decir, ya contaba con cierta experiencia pero aún se encontraba en plena transición al nuevo aparato. Hay otro aspecto que también es, por lo menos, llamativo. El avión siniestrado, un modelo con tan solo 280 horas de vuelo, es precisamente el primero construido en Japón y no un modelo construido en Estados Unidos. Como siempre esto no es más que un dato que puede que no tenga la más mínima influencia, pero está ahí. Hay que reconocer que cuesta creer que la industria japonesa, incluida por supuesto la de defensa, haya podido cometer el más mínimo fallo. Pero el dato es el que es. Se trata del segundo accidente de un F-35 y el primero de la variante 'A'. El primer accidente fue un F-35B de los "Marines", la versión de despegue vertical. Aún en el caso de que se demostrara que fue un problema del avión,no parece probable que afecte de manera significativa al programa. Dos accidentes, en versiones diferentes y en un modelo tan complejo no parece, a priori, algo determinante, incluso con el historial de problemas que se han tenido que ir resolviendo. Otros programas, como el del conocido V-22 Osprey, tuvieron muchos más accidentes e incidentes en su fase de desarrollo y hoy es un modelo muy fiable. Japón no se echará atrás. Se ha convertido en uno de los principales usuarios extranjeros del F-35 junto al Reino Unido. Sus planes iniciales de adquisición eran originalmente de 42 aparatos del modelo 'A' basado en tierra, pero han aumentado hasta un total de 147, de los cuales 42 serían de la versión 'B' con capacidad de aterrizaje y despegue vertical. Bélgica, Australia e Italia (si los puede pagar…) ya están comprometidos. Otros países como Grecia y Polonia, son firmes candidatos a ser usuarios del F-35. Que Grecia pase a tenerlo se considera muy probable, sobre todo teniendo en cuenta que su vecino, Turquía, también quiere el F-35, pero se está encontrando con el veto norteamericano (muy lógico) al querer adquirir, simultáneamente, el nuevo sistema antiaéreo S-400 ruso. Suiza y Finlandia también están interesados, sobre todo los nórdicos, que tienen también un vecino "incómodo". Y, lo que es más importante, con este volumen de ventas los precios bajan. Lockheed Martin, fabricante del modelo, afirma que el precio de un F-35A, todo incluido, está ahora en 89,2 M$ (79 M€) y el de un F-35B, el modelo que más le interesa a España para sustituir a los Harrier, en 115,5 M$ (102,6 M€). Sigue siendo caro, pero ya no prohibitivo.